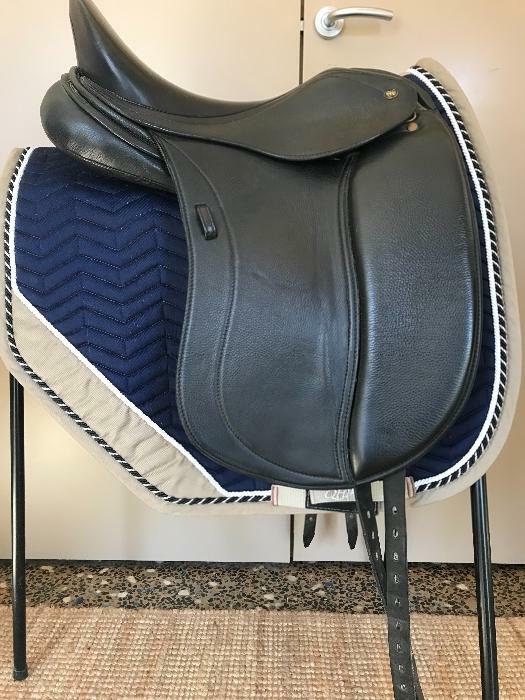 OFFERED FOR SALE BY SADDLE CENTRAL. 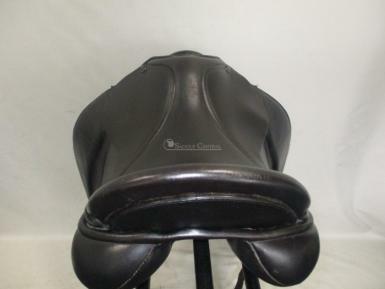 7 day trial on all saddles sold. Full money back guarantee (excludes Post costs) Posting Nationwide. Prices are firm, sorry offers will not be considered. Developed in close collaboration with Anky van Grunsven. 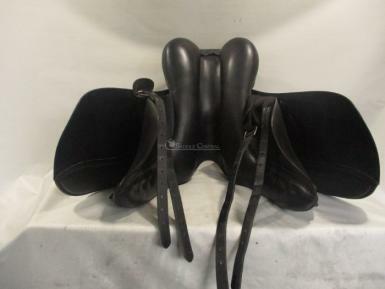 A supportive but non restrictive deep seated dressage saddle. The panels feature the AMS panel system, designed to absorb concussion and evenly distribute pressure. 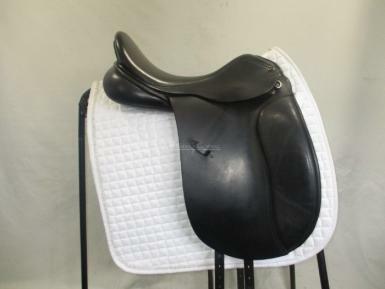 The AMS panels can be re -flocked and adjusted just like a traditional flock filled saddle. 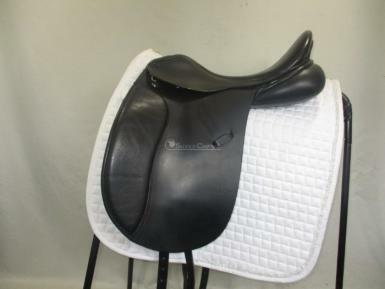 Easy cange gullet, currently fitted with a wide, we can alter to suit. 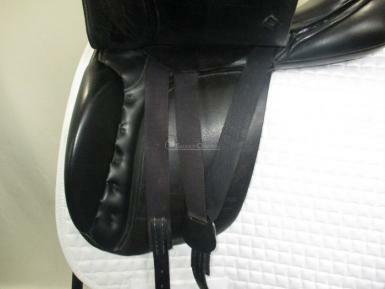 Girthing is y configuration ensuring the correct girth alignment. Wear/Damage: scuff on the canlte, a couple of very minor scratches on the seat.